Ray Greek has been held up by the animal rights community as a standard bearer for the “animal research doesn’t work” movement. While his arguments appear credible at first glance, they quickly fail under scientific scrutiny. 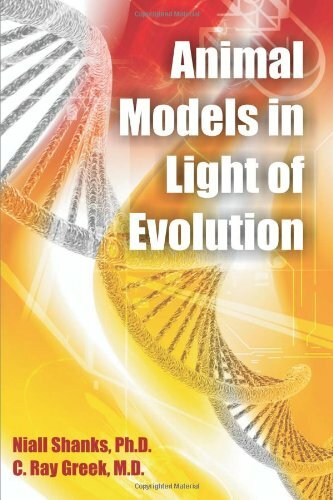 In this post we take a broad look at the arguments made in his key work, Animal Models in the Light of Evolution. Those willing to play dirty in the service of animal rights activism have employed many tactics over the years, from breathless but groundless “reports” describing the ‘barbarism’ of the animal lab to threats of physical violence and beyond. However, the modern era has been marked by the rise of pseudoscience which argues from a perspective that animal research is ineffective, rather than immoral. It is often underpinned with an assertion that there are “modern alternatives” that should be used instead, if only scientists would take off their blinkers! The response of the scientific community thus far has largely been to refute such claims via sending papers to what are (to the public) obscure scientific journals, or maybe a stiff letter to Scientific American. For instance Adrian R. Morrison, writing in Perspectives in Biology and Medicine, Volume 45, Number 4, Autumn 2002 illustrates how animal rights pseudoscientists misuse references, often quoting passages out of context so they contradict the wider conclusions of a paper. However, we must do more to argue openly and publicly against these scientific distortions, and it might be helpful to first consider what elements go into a misleading proposition. Perhaps a good place to start is by looking at some of the work of Ray Greek, who will be familiar to readers of this site, but has just started manifesting in the UK with his work used as the basis of a Parliamentary Motion and as the “scientific” rationale behind pseudoscience organisations like For Life on Earth. Their intended audience has clearly misunderstood their claims and extrapolated their narrow evidence base to all animal research. So, it’s arguable that their harmless (if lucrative) enterprise is becoming dangerous in the same way that the novel of Frankenstein is harmless until it inspires an angry mob to burn down a lab, or, more likely, an undereducated politician influenced into making a silly decision. Of course, animal models in most cases aren’t being used to “predict” anything. They are being used to test a hypothesis (in which sense there is no such thing as a failed experiment – only an incorrect hypothesis) or to discover or understand a process. Such descriptions cover much basic research, as well as many other areas. Greek acknowledges that there are valid uses of animals and instead focuses on animals as models of human biology, particularly drug development and safety testing. Where animals are used in drug testing it is to suggest that an effect observed in animals may also be observed in humans. When an effect is observed across multiple mammalian species, the probability of it also having that effect in humans can be sufficiently high to allow the compound to proceed to human trials. It should be noted that the system is primarily screening for acute undesirable effects (such as severe vomiting or seizure) which would prevent a drug candidate from proceeding to human trials. The tests cannot possibly predict all adverse drug reactions, and many will only be known about when a compound is administered across a large number of human patients across the globe. Nor are they intended to – they are intended to prevent the illness or death of phase 1 clinical trial volunteers – something animal tests achieve remarkably well. Prediction in this context is about probability. An analogy might be if I told you that if you walk into the road right now you have a 9 in 10 chance of getting run over. Note I am not saying you will be run over, but there’s a good chance you might be. This is how ‘prediction’ is understood in this context, not as a form of precognition or the outcome of a complex model where all variables are known. Initially, then, the enterprise has been to frame the concept of prediction in a particular way which will of course make it unachievable. What comes next is mathematically correct but largely irrelevant – a tactic that crops up again in his discussions of complexity[i]. This is in turn complemented by cherry-picked references that seem to support the argument, in many cases from papers describing out-of-date and far less effective toxicology than we have today. In one case in AMLE a 1983 paper from D Salsburg is cited, giving us our famous “We’d have been better off tossing a coin” quote beloved by many animal rights activists. What isn’t mentioned however is that the study, 30 years old last year, was an examination of the validity of a lifetime feeding study as a potential assay. He concluded this particular assay wasn’t much use for that one particular purpose, not that all animal experiments give the same poor results, so this quote is not being used in a way its author would recognise. Lumley C: Clinical toxicity: could it have been predicted? Premarketing experience. In Animal Toxicity Studies: Their Relevance for Man. Edited by Lumley C, Walker, S: Quay; 1990: 49-56. So there are a few red flags here: old or irrelevant references, suspect definitions, cherry-picked data, a certain amount of “blinding them with science”. These effects are compounded since neither his Animals Models in Light of Evolution, nor FAQs about the use of animals in science are peer reviewed (since they are books not journal submissions). Arguing that animal models are not predictive because life is complex, when there hasn’t been a single death during a phase 1 clinical trial in the UK in over 30 years (and only one serious incident, due to human error), is a bit like arguing that airplanes can’t fly whilst being seated on an airplane at 30,000 feet. Narrowly defining the terms (probability = strict definition of prediction, now). Limiting the data set – Greek is not alone here, animal rights activists like Victoria Martindale have created myths entirely out of limiting the dataset. Demonstrating how the limited data set doesn’t satisfy the narrow definition. What is most troubling is it’s hard to tell if such writers have got a point, or could contribute usefully to refining experiments or reducing animal use, because their arguments are wrapped up with poor evidence, geometry, vague or invalid sources of information, faulty statistical methodology and easily-disproved claims. I have written elsewhere about one of the citations used by Greek being based on a “very rough estimate” of the predictive value of toxicity testing of 45 random drugs in 1978. It’s time to stop the mischief, stick to appropriate methodology and, when the science still supports animal research, attempt to criticise animal experiments from an “ethical” perspective (although it’s a slim ethical argument at best). There is no great conspiracy on the part of pharma companies and regulators to use animals unnecessarily, and this patronising notion that scientists are so thoughtless, institutionalised or psychotic that they use animals when there are easily-accessed alternatives shows the highest arrogance. If animals are poor models for humans, then let it be proven properly and scientifically, hand in hand with regulators and industry, neither of which have an interest in animal research continuing unnecessarily. Regulators are using well-established statistical models as diagnostic tools, and if they’re wrong then it should be possible to prove it to them without statistical trickery. Otherwise the intellectually honest thing to do is abandon the claim. [i] To make the point about complexity, Greek takes us on a meander through complexity theory, arguing that, because living things are complex, they cannot be similar enough to truly cross-predict physiological effects. However, the science aside, drug development is also about what works, regardless of whether we understand the mechanism in all its glorious complexity. For example, we knew that insulin worked long before we understood the action of the Glut-4 transporter, or how it may differ in animals. Reintroducing the science, another place we encounter the misapplication of complexity is in Greek’s reversing of the normal manner in which biologists would use mathematical models i.e. constructing a mathematical model, then (hopefully) confirming its predictions with live observations, leading to ever more refined models. Greek flips this around and sketches out, at length, the difficulty of modelling complex systems. However, one could ask, “Does a basketball player understand the complex physics behind how the ball moves through the air? No. Are they going to get the ball toward the hoop? Probably.” Greek’s argument seems to be that the basketball player needs to know the physics if they’re to score a goal. Greek takes this as far as showing how hard it is to bring dynamical field theory to a complex biological system (Page 86-103), something that I would argue is indeed impossible given our current understanding of biology, not least because a dynamical system is a mathematical concept where a fixed rule describes the time dependence of a point in a geometrical space and we don’t know enough about the starting physical state of animal biology, or indeed how it functions at a molecular level, to use it to make predictions. But nobody but Greek is suggesting this is how it should be done. Due to this reversal of the norm, the reader has to deal with some heavy mathematics, quite unnecessarily. Quite why Dr Greek would try to push the argument beyond the scientific or statistical grasp of the typical reader is anyone’s guess. One hates to caluminate or imply tenebrous intent, but could it be because it’s easier to assume false authority or conceal an anaemic proposition by obfuscation via sesquipedalian vernacular? 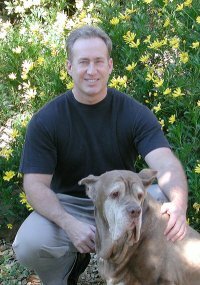 Posted on February 4, 2014 February 4, 2014 by EditorPosted in Animal Rights News, NewsTagged For Life on Earth, Greek animal testing, predictive value of animal research, Ray Greek, Vivisection Ray Greek. Previous Previous post: Join Pro-Test for Science to End the Age of Terror! Next Next post: Stop Harassing Scientists!